A brand NEW design unique to my shop on Etsy! 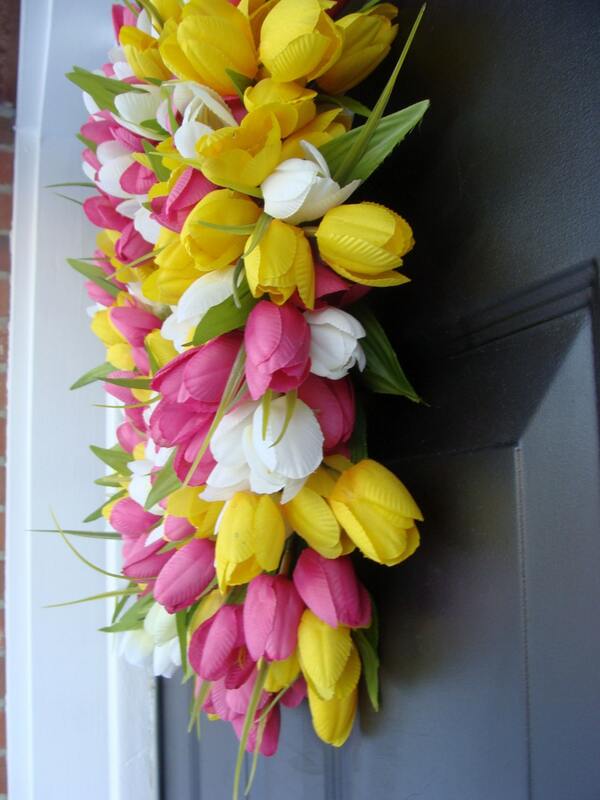 A VERY THIN Tulip wreath! - This wreath can be shipped Internationally with ease. The wreath shown measures 18 inches in across, 3 inches deep. As you can see it is very full and lush as with my other thicker tulip wreaths. 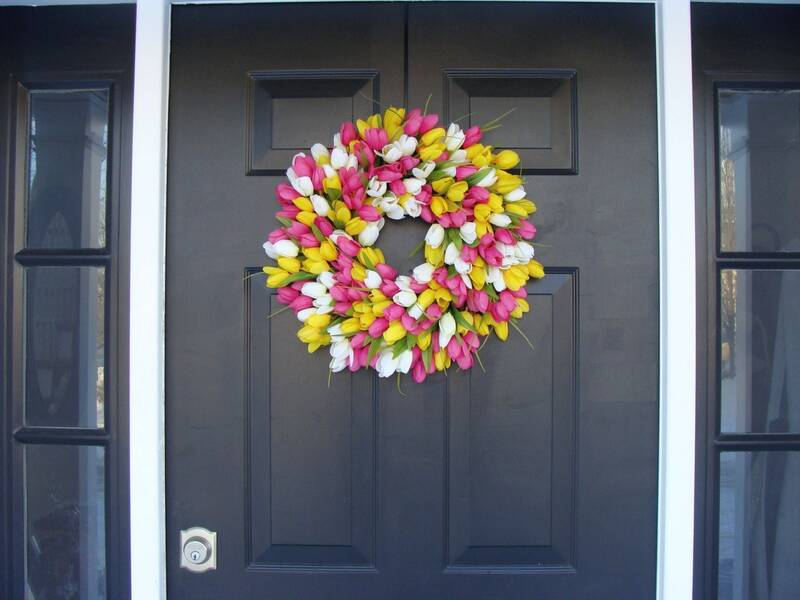 This is the perfect spring door wreath for any situation as it can take some sun, and thin! Available in many sizes from 14-22 inches. It is always recommended that you personally measure the space to determine the correct size. I will also be happy to suggest a size for you as well if emailed. 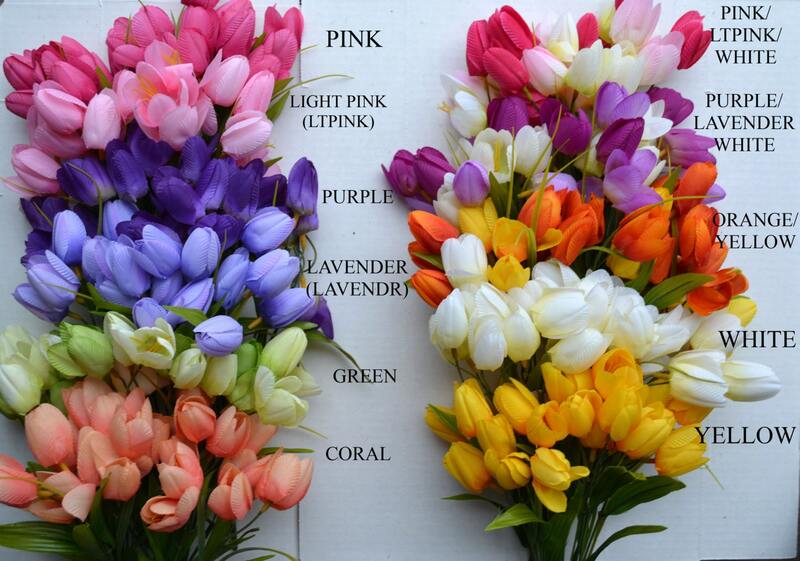 *if your color combination is not listed please write it in the comments section at checkout. I ordered this as a gift for my Mom and she absolutely loved it! It came out even prettier than in the pictures and even smells great. They take so much care in packaging for shipping to ensure that the wreaths arrive in perfect condition. I definitely recommend this vendor and look forward to ordering a wreath for myself from them in the near future. Perfect, exactly as I ordered. Beautiful Wreath! I can't wait to hang it on my door! Packaged so carefully! I am anxious to order another! Thanks so much!! Absolutely beautiful and made incredibly well! My only issue was that shipping took longer than expected but that was due to an influx of orders. And I can see why! So in love with my wreath. I've received so many compliments.